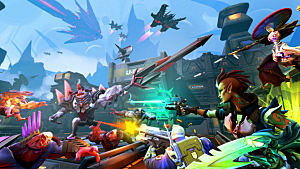 Battleborn is a hilarious arena shooter made by Gearbox Software, the developers behind Borderlands. If you are unfamiliar with the Borderlands series, it is a first-person shooter (FPS) with some roleplaying game (RPG) elements. 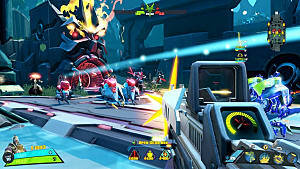 Battleborn still has a story, in addition to the multiplayer versus mode, but it goes by levels instead of the open-world of Borderlands. Battleborn has a great blend of story and versus modes. That isn't a new thing by any means, but this is a different type of game. 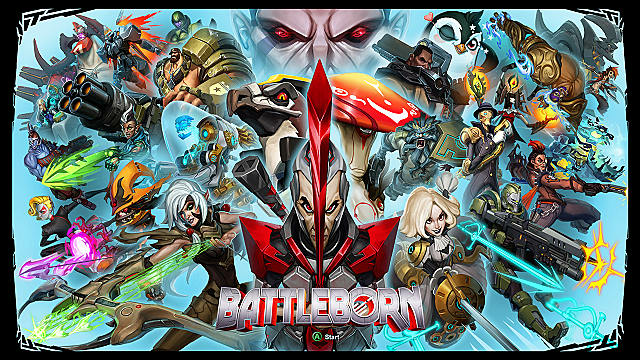 Battleborn is a character-based arena shooter where all the characters have unique weapons, abilities, and they level up during each match. 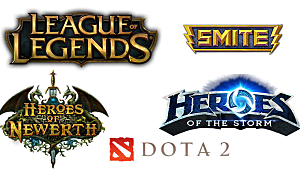 This is like multiplayer online battle arena (MOBA) games, such as League of Legends, DOTA, and Heroes of the Storm. Games like that usually don't have story modes, so it was a nice addition. I also really enjoyed the fact that the story was decently long and supported up to 5 players. I could spend hours just going through the different taunts and character interactions, that's how funny this game gets. Then after that, you still have the 3 different versus modes to play. 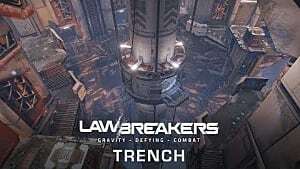 These modes could use more maps -- there are 2 for each game mode right now, but there are sure to be more added over time. The best thing about Battleborn is the humor. The dialogue and voice actors make the game absolutely hilarious and what I look forward to the most from a Gearbox game. I could spend hours just going through the different taunts and character interactions, that's how funny this game gets. Many of the character designs are also outrageous. And this game does not take itself seriously most of the time, which is good and refreshing. It is also a complete game that doesn't let you buy characters or skins, which I appreciate. You unlock them by working on it in the game. The system they have for character progression and customization is great. 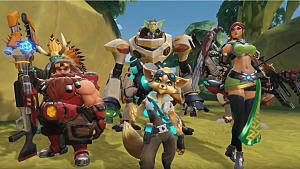 Each character has their own rank, and as you level, you unlock skins, taunts, and skills. The Helix system allows you to select between 2 different skill augments every time you level in a match. This resets every match, so you can change things based on your preference, how the match is going, and who you're playing against. All those mixed together gives you plenty of options with the multiple characters currently available. Although I enjoyed the story, I really disliked the defend missions. The missions themselves weren't terrible, but the consequences of failing were the worst. If whatever you defend gets destroyed, it is an immediate game over and you have to redo the entire mission. Considering each mission can take a while, you could waste 30+ minutes after failing a mission. The fact that you have extra lives makes it even worse. One time we had 7 extra lives, but failed the mission once the point we were defending got destroyed. Just going back to the last checkpoint and using up lives for the whole team would have been great. The other thing that upset me, which also relates to the defend missions, is the matchmaking system. If someone leaves a game, they have to either wait until the game they left is finished or rejoin. Sounds great on the surface, but it does not work. This makes it so that if someone leaves your game, you won't get any new people. Punishing players for leaving is great, but this isn't working. 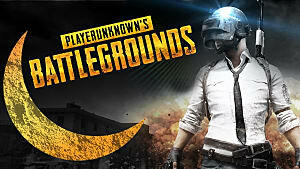 If someone leaves in the middle of a story mission, well, good luck trying to finish it because the mission is still set to the highest number of players that was in the game. It also works the same way in versus matches, so things can get pretty ugly. Overall, Battleborn is an incredible experience that fans of Borderlands and newcomers alike will enjoy. The story, multiplayer modes, and characters are all memorable. There are a few issues, but the biggest ones can be fixed over time with feedback. Gearbox has already shown that they care a great deal by patching and responding to players in a timely fashion. There will also be new heroes, story missions, maps, and more added as free content, so there is plenty to keep you busy for a while. 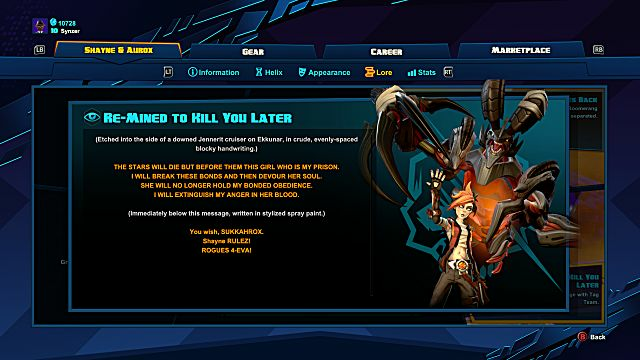 Gearbox Software's latest game is a hilarious good time, but still has a few flaws. 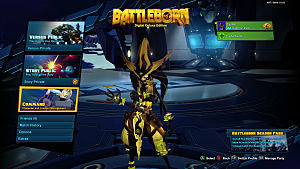 Can Going Free to Play Save Battleborn? 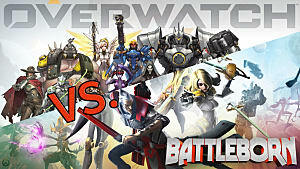 Is the FPS MOBA a Fad or is it a New Genre in the Making?